Introducing the GUIL TMD 545 Line array tower a perfect companion to elevate your sound system to the next level. 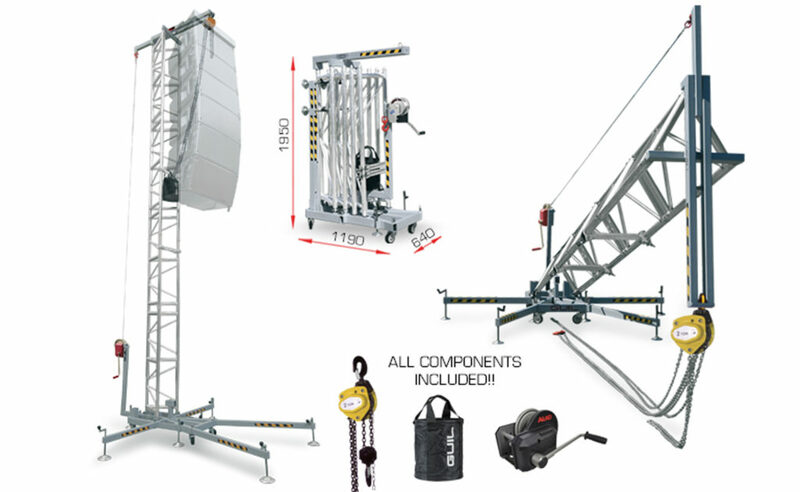 The TMD 545 offers a truly ingenious way of flying line array speaker systems up to 6.5m in height and a loading of up to 500kg. The TMD 545 is compact and offers class leading quick setup format with ease of use and portability. 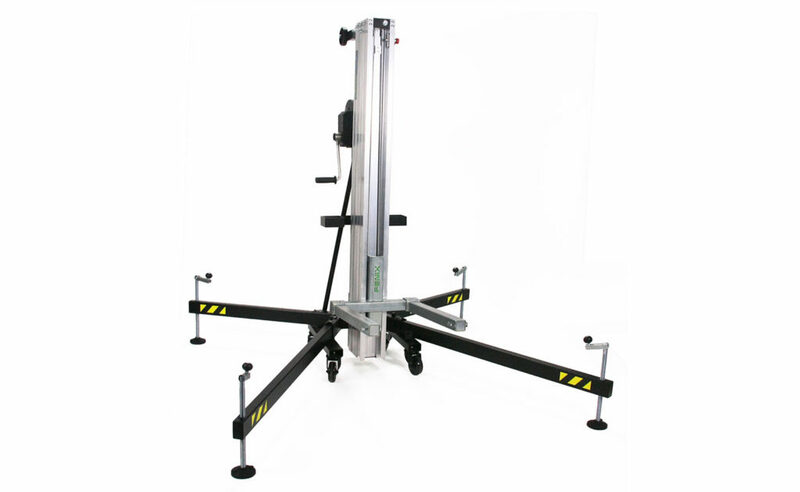 The AT Series from FenixStage allows you to lift loads directly from the floor, reducing user effort and adding another level of Safety to your setup.